Suguta Marmar is situated in Kenya's arid northern territory. It can only be reached by driving on a dirt road for several hours. It is very remote, and the people still live in tribal villages. There, the Missionary Sisters reach out to provide emergency as well as long-term assistance through their Early Marriage Rescue Mission - ministering to girls as young as 8 years old who are being "bartered" into marriage. A family with a young girl is often promised a goat in exchange for the girl when she reaches 11 to 13 years old. This is a custom of the Samburu tribe. A Kenyan child can start school at any age, and many will not graduate from high school until they are between 23 and 25 years old. Education past the eighth grade is not highly valued and was not available, in this region, until the Sisters built Bishop Perlo High School as part of their Rescue Center. 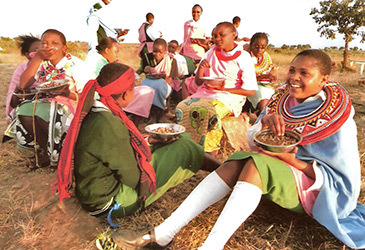 Through the Rescue Center, the Missionary Sisters provide food, clothing, shelter and education to young girls who have nowhere else to turn. Suguta Marmar girls eating a healthy meal. Letuuni was brought to the Rescue Mission at 7 years old. She is an orphan and had been terribly abused by men in the streets. After a brief stay in the hospital, she came to the Center where she has been treated with the love and care of the Sisters. 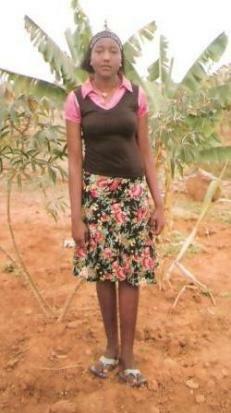 Letuuni has been sponsored by our donors for over a year. Please, will you sponsor one of the children below? The children of Suguta Marmar need your help. Sponsoring a child is a wonderful way to make a difference that just may save their life. Sponsoring a single child is all it takes, however; there is no limit to how many children you may want to sponsor. Let us know by sending us a message if you are able to sponsor one or more children shown here living in Suguta Marmar. Roce is from the Samburu tribe. When she and her mother refused to allow her father to sell her in marriage, he abandoned this family of nine. Life is very hard as a result of Roce's commitment to her education. She wants desperately to do well in school! Roce needs a sponsor to make this dream come true. Furahisin’s birth date has not been recorded but she was born in the year 2002. She doesn’t have a mother and her father is very old and poor. 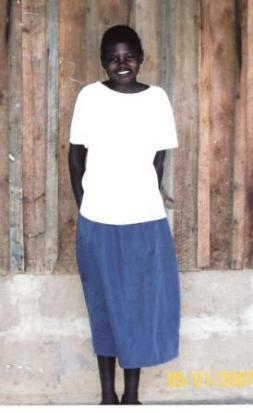 She was rescued from an early marriage. Her date of admission to the center is 6/12/2009. She is now in Class 3. She is a very bright girl and any support for this child is greatly appreciated. Angelina has been rescued from an early marriage at this young age. Would you become a Sponsor for this coming year? 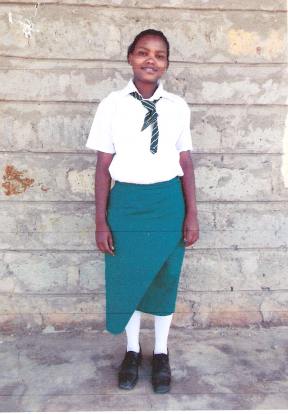 Rusila has been rescued from an early marriage at this young age. 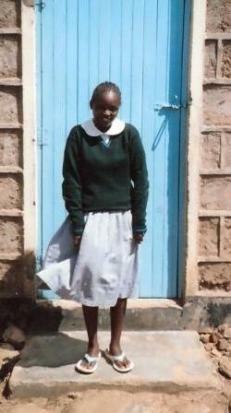 Milka has been rescued from an early marriage at this young age. 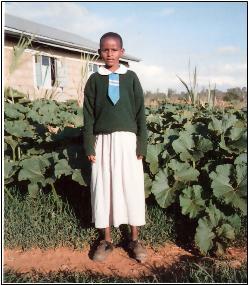 Rapunya has been rescued from an early marriage at this young age. 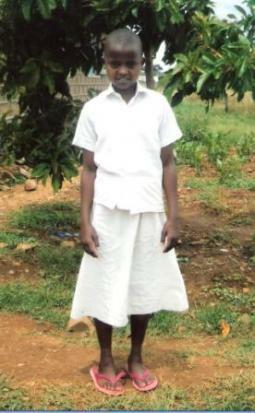 Samwela has been rescued from an early marriage at this young age.